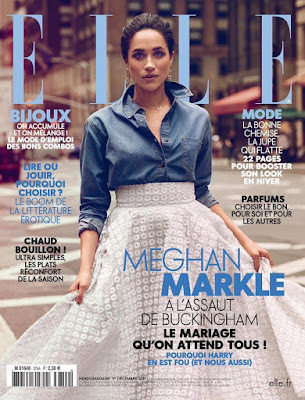 The royal bride-to-be Meghan Markle covers the December 2018 issue of Elle France. Meghan looks beautiful on the cover, photographed by Christian Blanchard, however one thing seems to be missing. 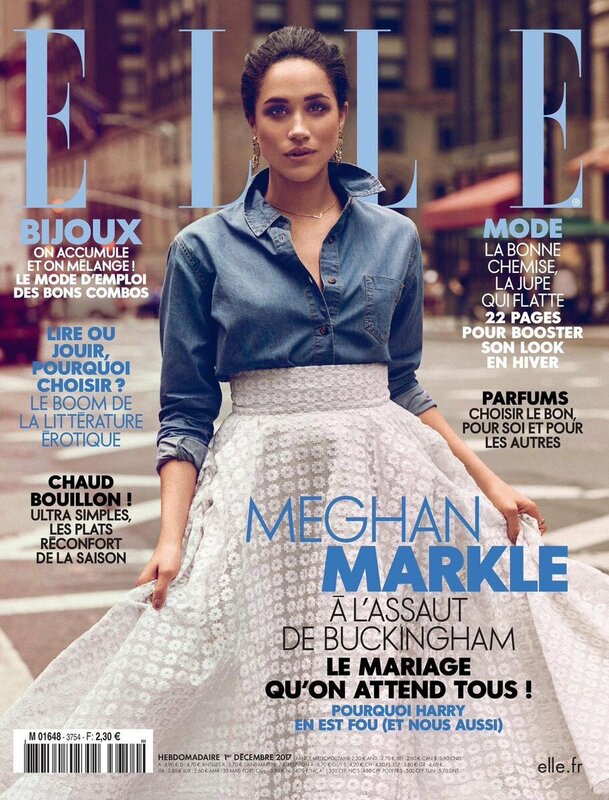 Elle France is being accused of photoshopping out Meghan's freckles. In an interview in March she told Allure "To this day, my pet peeve is when my skin tone is changed and my freckles are airbrushed out of a photoshoot. For all of my freckle-faced friends out there, I will share with you something my dad told me when I was younger: 'A face without freckles is a night without stars.'"